New stadium in Inglewood 'front-runner' to host event. 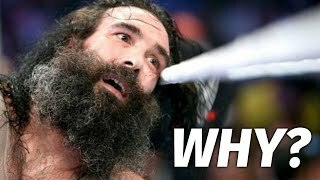 We've only just got through the 35th edition of WrestleMania, and already attention is zooming a million miles into the future, as we look towards not just the next event in the chronology, but WrestleMania 37. Next year's WrestleMania has already been confirmed for Tampa's Raymond James Stadium, with a decidedly swashbuckling pirate theme to boot. Writing for the Los Angeles Times, Arash Markazi has reported that LA is the current front-runner for 2021's Show of Shows, with a new stadium under construction in Inglewood the most likely venue. 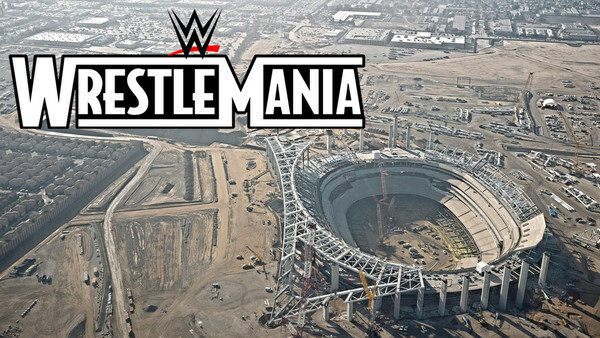 According to Markazi, the new home of the LA Rams and Chargers is being prepped for 2022's Super Bowl LVI, and officials are interested in using WrestleMania as a test of its big game potential. WrestleMania last 'went Hollywood' in 2005, when Batista beat Triple H in the Staples Center for the World Heavyweight Championship. Two other WrestleManias have been hosted in LA; one third of the second show emanated from the Los Angeles Memorial Sports Arena, and the same venue contained WrestleMania VII after it was moved from the much larger LA Memorial Colseum owing to poor ticket sales. Sorry: 'security reasons'.